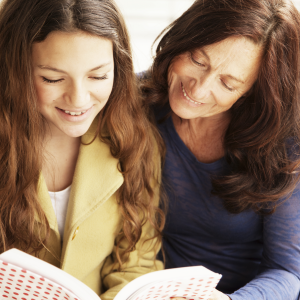 Just like adults, some adolescents can benefit from therapy. Many need help dealing with school stress, violence, bullying, the loss of a relationship, or peer pressure. Others need help working through their feelings about family or social issues, particularly if there’s a major transition, like a death, divorce, move, or serious illness. Adolescence can be overwhelming and confusing. The parts of the brain that are responsible for self-control, judgment, the regulation of emotions and the ability to organize are undergoing the greatest amount of change from the onset of puberty until adulthood. This accounts for the fact that adolescents are sometimes impulsive and reckless. From time to time, adolescents can find themselves in situations that are not what they intended. Frustrated parents and overwhelmed youth can benefit greatly from the expertise provided from our team of professionals. Therapy for teens focuses on building self-esteem and improving relationships and communication. Find a good time to talk and assure them that they are not in trouble. Take your child’s concerns, experiences, and emotions seriously. Try to be open, authentic, and relaxed. Talk about how common the issues they are experiencing may be. Explain that the role of a therapist is to provide help and support. Explain that a confidentiality agreement can be negotiated so adolescents have a safe space to share details privately, while acknowledging that you will be alerted if there are any threats to their safety. As part of the assessment process, we will determine the need for psychotherapy, including whether a formal neuropsychological assessment is indicated. We can also advise you whether other treatments (medication, behavior management, or work with the school) should be considered. Psychotherapy helps adolescents in a variety of ways. They receive emotional support, resolve conflicts with people, understand feelings and problems, and try out new solutions to old problems. Goals for therapy may be specific (change in behavior, improved relations with friends or family), or more general (less anxiety, better self-esteem). The length of psychotherapy depends on the complexity and severity of problems. Parental involvement is critical. Your willingness to be part of your child’s solution will be the key to bringing about his/her change. Don’t put it off under the mistaken notion that it will get better on its own. At Holistic Health and Counseling Center, each of our professionals has decades of experience treating adolescents. We are finely attuned to the difference between normal adolescent acting out and signs that there is a real problem. Some teens may prefer talk therapy; others may do better with a combined approach to treatment, using Experiential Therapies, Play Therapy, or EMDR. EMDR (Eye Movement Desensitization and Reprocessing) has been shown to be very effective is resolving problem feelings and even traumas, and works well with adolescents because they don’t have to talk about the problem, the troublesome feelings are much easier to deal with, and the EMDR processes away to bad feelings. Since adolescents don’t always eat a good diet, our addressing that can make a big difference, and with some, acupuncture can help too. Biofeedback and neurofeedback can help teens to self-regulate their emotions and impulses. At Holistic Health & Counseling Center, we have extensive experience in developing treatment plans that will fit your child. The road to your teenager’s recovery may be bumpy, so be patient. Rejoice in small victories and prepare for the occasional setback. Most importantly, don’t judge yourself or compare your family to others. As long as you are being loving and supportive and you’re doing your best to get your teen the necessary help, you’re doing your job. Give us a call at 407-644-3593 to find out how we can help your child manage his or her challenges.